Passages of Writing: The Watch Tower, Elizabeth Harrower. Book: The Watch Tower by Elizabeth Harrower. First Published 1966 Macmillan. This edition: The Text Publishing Company – e-book. But there is a differing in responses to the news and in a few short concise paragraphs we quickly understand that the mother, the headmistress and the children all feel differently and this is emphasized by the paragraph starting with ‘A Magpie..’ with everyone going quiet for a moment as if stunned, or speechless. It’s a great lesson on how to do that. 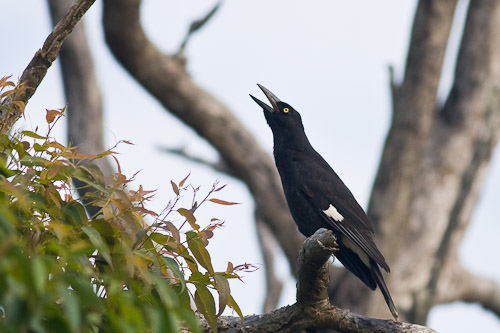 A magpie or a currawong, or some other bush bird she hoped never to hear in town, gave it’s careless, beautifully deliberate call from a giant blue gum in the distance outside the school grounds. (Someone sighed) Closer at hand there were energetic sounds from the tennis courts, and laughter. p.1. The Watch Tower by Elizabeth Harrower. Passages of Writing: Vernon God Little by DBC Pierre.